Match Murphy wall bed maximizing to utilize the small bedroom space. Eco modern hidden murphy wall beds,Simple and exquisite design,meet the storage needs of your life. 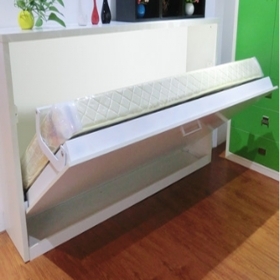 A1000 Serie is a kind of vertical Murphy bed for saving space with white color. Walnut color space saving wall bed is a classic for your special bedroom. It feactture a display and office desk, you can put this wall bed on your bedroom or office, it's not occupy too much space. 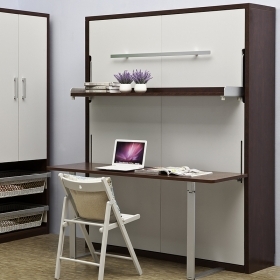 This stylish Murphy wall bed features a desk and stand display. You can install it on your room or office, even on a tiny room, this Murphy wall bed also can make your room as a office, you can work on the desk. When you open the wall bed, you needn't to move the things that on desk or display, things will not drop dwon. 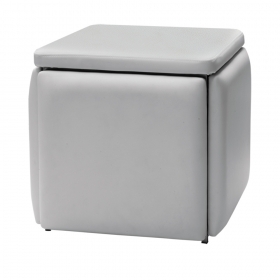 Check out this multifunctional chairs, maybe that is the chair you are looking for. You need many chairs when you inviting many friends to your house, but too many chairs will make your room be more tiny and busy, however, this stylish design multifunctional chairs will not occupy too much space and make you have enough seats for your friend. 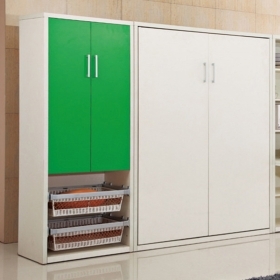 B1000 Series is a kind of horizontal Murphy bed for saving space with white color. 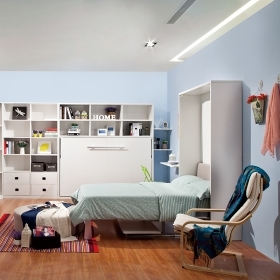 B2100 is a kind of horizontal Murphy bed for saving space with white color.